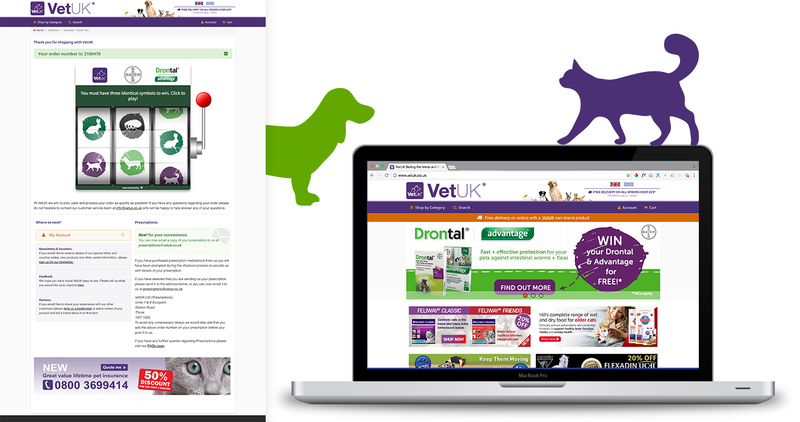 Bayer, the dedicated company for animal health, wanted to increase the number of orders of their Drontal & Advantage products on the Vet UK website. Vet UK & Bayer worked with Luckycycle to offer customers the exciting chance to win their purchase for free if they made a order of Drontal & Advantage products over a period of 2 weeks. This is just a test game.